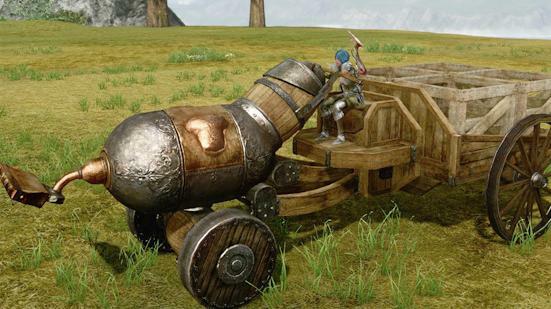 The farm wagon is a useful for you in ArcheAge. It is not only a persoanl vehicle but also help water plants in your farm.For players, you can use it in your farm. Now, you craft a farm wagon in the game world. First of all, you need to prepare the materials to craft the farm wagon. All of the materials are a little expensive. Thus, you need to have enough gold to purchase those materials. Farm Wagon Design(*1)- It is necessary to craft a farm wagon. You can use 10 Gilda Stars to purchase it on Mirage Isle. 4 Strong Wheels= 8 Archeum Logs + 1 Sturdy Ingot. Solid Shaft(*1)-Crafting Solid Shaft, you need Thunderstruck Trees and Thunderstruck Tree. Cart Bucket(*1)- It is a necessary for crafting a farm wagon. Scroll Farm Cart- It can summon a farm wagon or dismiss it back to the otherworlds. Restore using a Shatigons Sndglass: spoonful if destroyed. Items for crafting are available to purchase in the auction house; but that means you will spend lots of gold. The other way is that you can gather or plant. For example, all ingots through mining Iron and Fortuna Veins. Archeum Trees and Thunderstruck Trees can be planted. When all materials are prepared, and then you can start to craft the farm wagon, which will cost you cost 25 Labor Coins. In all, it is easy for you to make.